This paper shares insights, reflections and lessons learnt from designing, implementing and reporting against the Building Resilience and Adaptation to Climate Extremes and Disasters (BRACED) programme’s Monitoring and Evaluation (M&E) framework. The BRACED programme aims to build the resilience of up to 5 million people vulnerable to climate extremes and disasters and supports international, regional and local organisations working in 15 consortia across 13 countries in East Africa, the Sahel and South-East Asia. To understand what works and what does not in building climate and disaster resilience, the BRACED Knowledge Manager (KM) is developing and testing a variety of resilience measurement and monitoring approaches and frameworks. This year’s reflections are based on the second annual round of results reported by Implementing Partners (IPs) and BRACED projects are now just six months away from completion. 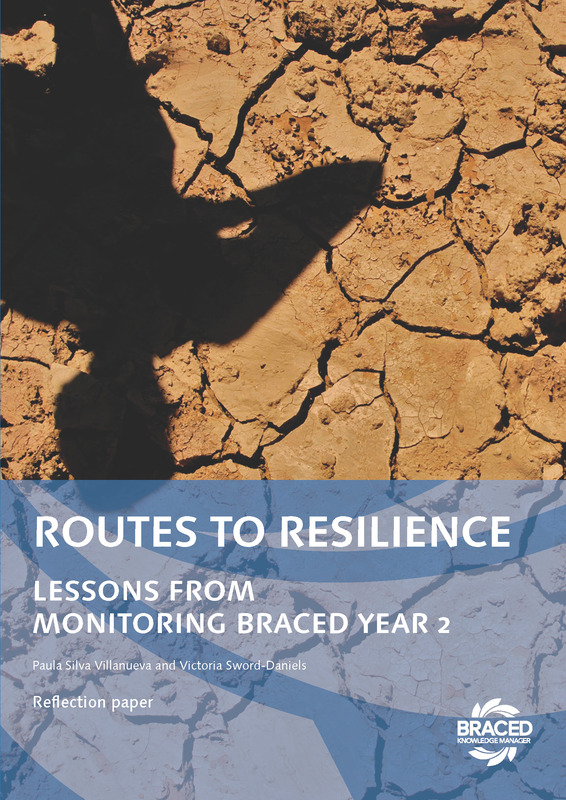 Each year, the KM Monitoring and Results Reporting (MRR) team addresses the critical question: ‘How are BRACED projects contributing to building resilience?’ The answer is captured in our companion synthesis report – ‘Routes to resilience: Insights from BRACED year 2’.